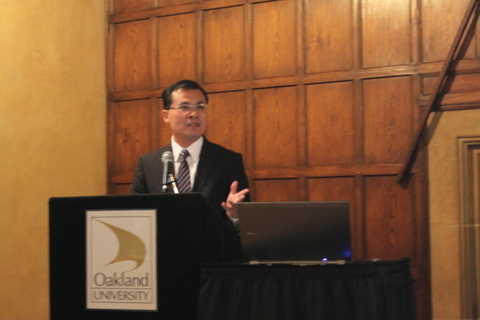 On Nov. 7, Mr. Zhao Weiping, the Chinese Consul General to Chicago, delivered a speech at the 20th annual Seminar of Ambassador Leonard Woodcock Legacy in Oakland University, Michigan. Consul General Zhao spoke highly of Ambassador Woodcock’s important contribution to the establishment of diplomatic relations between China and the US. 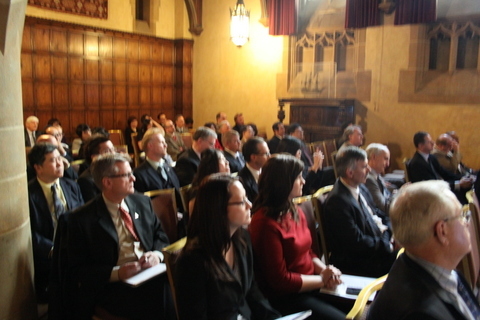 He briefed the audience on China’s new reform and opening-up measures as well as China-US relations. By pointing out that China is now embracing a fresh wave of reform and opening up, he stressed that China will adhere to peaceful development and is ready to work with the US to advance the bilateral relations towards the goal of building a new model of major-country relations.